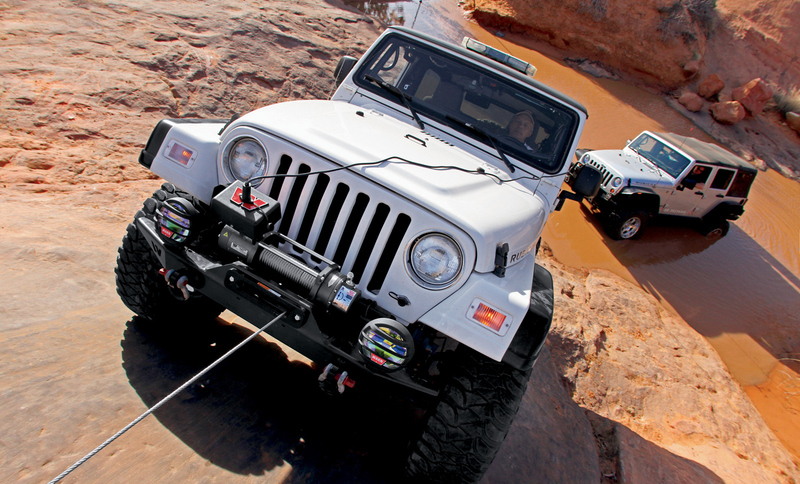 Two Jeeps make their way up a boulder using a winch at the Easter Jeep Safari in Moab, Utah. I was pleased to read a pleasant, pro-OHV article in the Wall Street Journal, entitled "Off-Roading Takes off as Source of Family Fun - Adventure Seekers Ride Growing Boom, Add to Economy"
The article outlines some of the public benefits to OHV motorsports, namely the economic support to the worldwide companies that produce parts and vehicles, the economic support to the local communities that surround OHV trails and open riding areas, and the social benefits from family adventures and children's exposure to the wonders of nature. "Kids spend way too much time in front of a TV or an iPhone," he added. "When we get together, all that goes away, and we spend 100 percent quality time. We teach them not only how to have a great time, but how to love and respect the land." It seems they're not alone in that sentiment either, as the off-roading community continues to show growth despite the state of the economy. Studies by Southwick Associates on behalf of the Outdoor Industry Association, estimate that enthusiasts spent close to $66.5 billion on the activity last year, which supports nearly 700,000 jobs and generates $8.5 billion in federal, state and local taxes. Beyond safety equipment, responsibility and protection of the land are also great factors when it comes to taking vehicles off-road. The environment and ecosystem on all public and private lands is very fragile, and enthusiasts are encouraged to stay on all marked trails, keep an eye out for wildlife and repair any damage done to the land. "The more irresponsible and careless people are when it comes to nature, the more difficult it becomes to justify why land access for off-roading is so important," says Greg Mumm of the BRC. "If we're proactive with trail maintenance and restoration programs, it ensures a better riding experience for everyone involved and goes a long way towards keeping those areas open for future use." As off-road recreation continues to increase in popularity, advocates active in their local communities are pushing to expand the amount of land open to the public. At the same time, environmental groups often seek tighter restrictions, fearing that the land will be damaged by off-roading. "There's got to be a meeting of the minds at some point," says Jody Phillips. "My family and a lot of others need to have lands available to them to enjoy this lifestyle. But we understand that carries the responsibility of making sure the land is protected," he said. "I think both sides in this want the same thing, but have trouble looking at it in the same way." 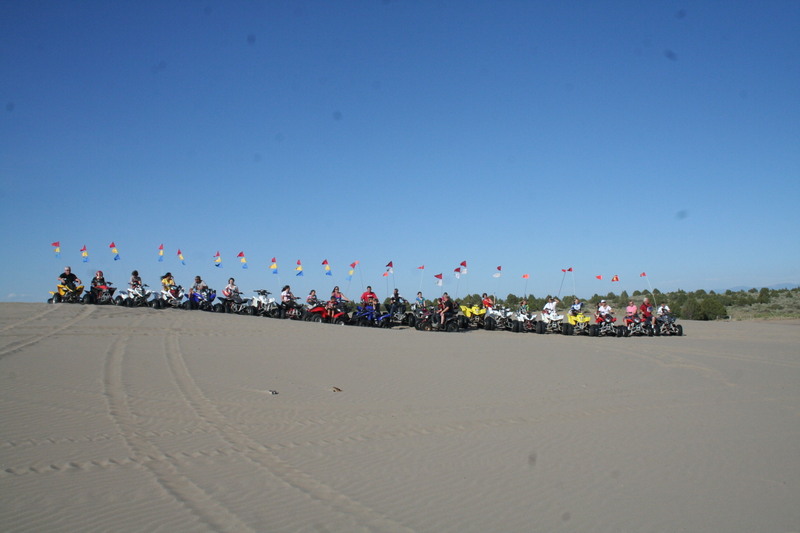 The Phillips family gathers for their 2012 reunion at the Oregon Dunes National Recreation Area.